Sheet Pan Suppers is back! This time, with 100 vegetarian recipes for satisfying, sumptuous full meals-all made on a sheet pan, and all meat-free. It's the one-pot meal reinvented with a healthy twist, and what is sure to become every busy cook's new favourite way of getting dinner on the table. 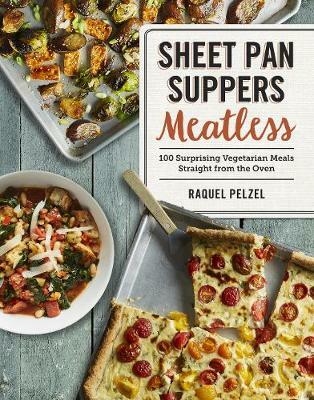 There are recipes for complete meals, snacks, brunch, and even dessert, that require nothing more than a sheet pan, your oven, and Raquel Pelzel's inspired take on satisfying, delectable, vegetarian cooking. Recipes include Orzo with Pan-Roasted Tomatoes, Lemon, and Mozzarella; Loaded Chilaquiles with Baked Eggs; Super Creamy No-Boil Mac and Cheese; and more.